Prices for shows at the Mary D'Angelo Performing Arts Center. : Box seats $30, General Admission for adults $20 or $17, Seniors & Military $17 or $14, Students & Youth $14 or $11. Wednesday, March 30, 7:30 p.m. Mary D'Angelo PAC. DORRANCE DANCE. Choreograpger and 2015 MacArthur fellow,Michelle Dorrance leads her troupe in honor of tap dance tradition, but enters a new trajectory of Street, club and experimental dance forms. 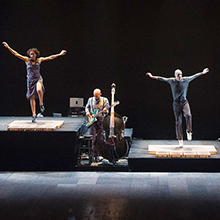 Tap dance, America's most long-standing jazz vernacular, is here to receive its due. With live musical accompaniment -- dance blended with house music, blues and solo tap. Dorrance has led her company of all-star dancers to sold-out performances at Jacob's Pillow Dance Festival, the Kennedy center and more. Now its Erie's turn to experience the rhythms in a three-part flight of dance. Thursday, April 7, 7:30 p.m. Walker Recital Hall. MATUTO. Bluegrass, swing, rock & blues -- combined with their Brazilian counterparts: forro chorinho, samba and marakatu. Guitarist Clay Ross, accordianist Rob Curto and a band of NYC and Brazilian percussionists. Improvisation. New musical directions! Brazilian folk rhythms fused with swampy bluegrass from the American South. 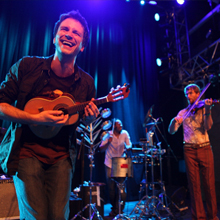 Finding comfort among jazz and blues legends, folk music traditionalists, and indie rock experimentalists, the band combines roots music with genuine Brazilian styles in improvisational experimentation. AND THIS ONE DEFINITELY IS JAZZ!! Thursday, April 28, 7:30 p.m. Walker Recital Hall. ALLISON MILLER'S BOOM TIC BOOM. And for the finale, a real jazzer -- NYC-based drummer Allison Miller, with excellent support from pianist Myra Melford and bassist Tod Sickafoose. The trio has appeared at New York's Winter Jazz Fest and on NPR's Tiny Desk Concert series. 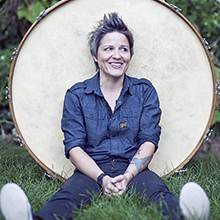 Attentive listeners have been picking up on her propulsion, melodic sensibilities, and inventive palette of acoustic colors, and she has placed among Downbeat's 20 top jazz drummers. For more information, go to: http://miac.mercyhurst.edu/events/filter/live.